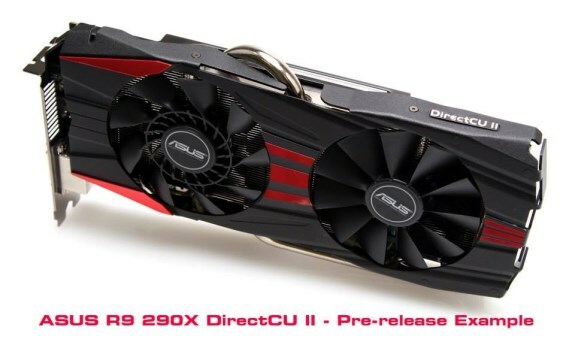 TechPowerUp received some pictures of the ASUS Radeon R9 290X DirectCU II. The model pictured below is not the finalized version though, there may be some changes for the release version. Pricing and availability is unknown. Seen below, ASUS' card makes use of Super Alloy Power technology to deliver more stable voltage and overclocking performance, is equipped with a PCB strengthening bracket and is paired up with a beefy cooler boasting two fans (including one CoolTech spinner) and four nickel-plated heatpipes (two are 10 mm pipes).